A prepaid mastercard/visa card works like a credit card with the difference being that the cardholders can spend only what they have pre-loaded onto the card. It is used exactly the same way as a credit card to purchase products both online and at retail locations or withdraw cash from ATMs. Prepaid, debit and the credit prepaid cards carry the mastercard or visa brand and they can be used anywhere that mastercard /visa is accepted worldwide. I would like to introduce to you matrixcardsolutions.com. 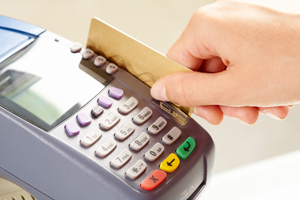 Our company implements and fully manages pre paid mastercard and visa card programmes. The prepaid mastercard or visa card is perfect for the general public who have poor credit facility, migrant workers and the general unbanked. The card can be pre-loaded and can then be used as a mastercard or visa anywhere in the world that supports the mastercard or visa payment platform. For the safety conscious customer who is concerned over identity as the prepaid mastercard or visa card is not linked to any bank account. Another use of the cards can be pre-loaded with loans that you offer to your customer and then be used for whatever the loan was intended for and each time a customer uses the card a residual income is generated. Ideal for people working overseas who need to have to 2 cards in order for families at home to draw monies for day bills. This is a cost effective alternative to Western Union and other money transfer companies. I would be extremely interested in discussing how we can help you not only effectively market your company, but also implement product service to your valued customers/Employees. If you would like to launch a new mastercard or visa prepaid card usable at all mastercard or visa prepaid cards locations marketed either to consumers or to corporations then please contact a member of our team on ltaylor@matrixcardsolutions.com or alternatively you can fill in our enquiry form and we will get back to you..
Australian Dollar, New Zealand Dollar, Canadian Dollar, Norwegian Krone, Danish Krone, Pounds Sterling, Euro, South African Rand, Hong Kong Dollar, Swiss Franc, Indian Rupee, Swedish Krona, Japanese Yen, Singapore Dollar, Malaysian Ringgit, US Dollar. We currently have relationships with banks in the Caribbean, Europe, United Kingdom, Middle East and Russia with whom we can place business. Our Caribbean Banking associate has been a MasterCard Principle member for over 10 years and offers quick and economical card solutions. The Matrix Card Solutions prepaid MasterCard card leverages this technology to provide a fast, less expensive and convenient alternative for transferring distributors payouts globally. Acting like a payroll card, the prepaid card is convenient for payees in developing countries like Brazil, Russia, India and China, where international wire transfers and bank checks are time consuming, complicated and costly. As online businesses build more relationships with vendors, affiliates and freelancers from these countries, the prepaid card is not only a less expensive alternative but easily understood and utilised.